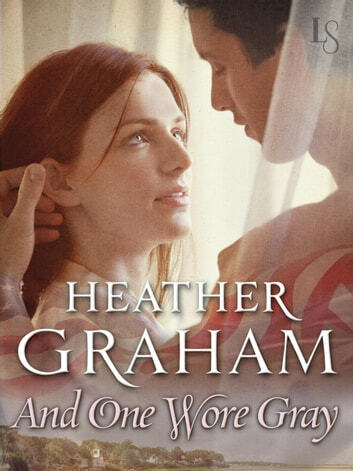 In this sensual Civil War romance from Heather Graham, the scars of battle are healed by a searing desire that crosses enemy lines. Callie Michaelson knows all too well the costs of war. Her husband gave his life on the battlefield, fighting for the North. Now Callie’s only defense is to hunker down and hope the war blazes right on past her Maryland farm. 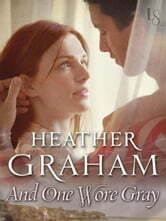 But when a dashing Confederate soldier falls on her land, Callie is inexplicably roused to help this desperate, surprisingly vulnerable, and heartbreakingly desirable man. After suffering the sting of defeat, Colonel Daniel Cameron wants nothing more than to heal his wounds and rejoin his retreating cavalry unit. But the look in the silver-gray eyes of the stunningly beautiful Yankee widow tells him to stay—at least for one night of passion. In Callie’s bed, Daniel forgets all about the horrors he has seen. He also forgets that he is too deep in Union territory to trust any woman. And soon enough Daniel discovers that wounds of the flesh are nothing compared to wounds of the heart.